PL/PDF Reporting Data Model is a simple solution to implement the report related data sources and variables. 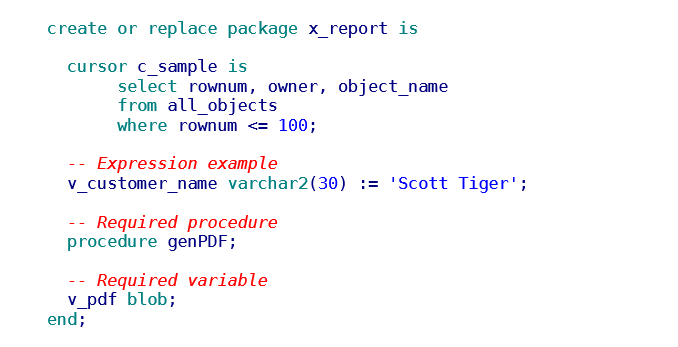 The user creates the report data model manually as the report package header and PL/PDF Report Processor creates the report runtime as the package body. Typically the Data Model contains PL/SQL cursor definitions and GROUP control references in the template.